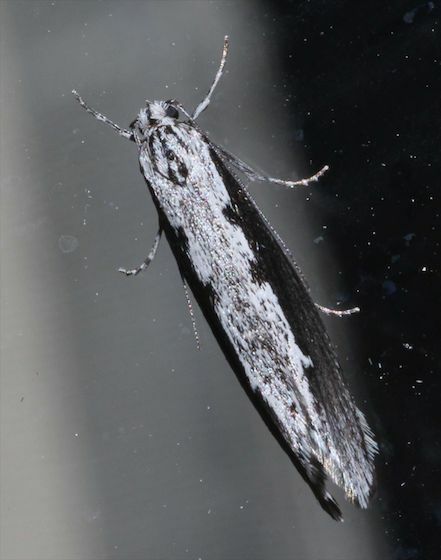 The forewing color pattern is most similar to that of Ethmia bipunctella, but that species is ruled out, in that it has the light areas pure white and it has spots rather than stripes on the thorax, aside from its being a northeastern species. This probably is either an unaccounted-for species or a variation of something named (there seems to be a lot of intraspecific color-pattern variability in Ethmia, as evinced by its unusually large number of named subspecies compared to other gelechioid groups). Thank you for all of your time and work. Maybe some other people from this area will find the same moth, as it seems to be one of the more common here. I appreciate your help.